NKE stock is strong even during times of market-wide uncertainty. Go long with confidence. Since early February, the stock market has seen two corrections of 10% each. Nike Inc (NYSE:NKE) stock held up much better than the markets in general. In the past three months it’s up 5% while the S&P 500 is down about that same amount. Retail in general also suffered as the SPDR S&P Retail (ETF) (NYSEARCA:XRT) is also down about 5%. So the Nike story has so far withstood the test of tariffs. This is important because as a global brand, it is vulnerable for China to pick on. Yet, so far investors have ignored the risks and this is a strong vote of confidence in the brand. Last night we heard a conciliatory President Xi Jinping which eased the escalation fears on Wall Street. So we can almost breathe a sigh of relief and trade fundamentals for a few days as opposed to fretting the tariff war headlines. Fundamentally, Nike stock is not dirt cheap but that is for a reason. It is well-managed company that continues to successfully perform on the global stage decade after decade. There have been challenger like Under Armour Inc (NYSE:UAA) and Adidas AG/S (ADR) (OTCMKTS:ADDYY) but it still reigns as leader. Wall Street experts agree and the stock is now trading towards the upper end of their price targets. Analyst ratings are split between buy and hold, so they could be waiting for earnings to move their targets higher. Technically, NKE stock is bullish for the midterm. If bulls can set a new high in the next few weeks, they could trigger a technical breakout which could reach $75 per share. Today I am sharing a bullish Nike stock trade but I am not going to buy the shares outright and hope for the rally to materialize. Instead I will bet that support will hold into 2018. This way I can generate income out of thin air and leave room for error. This is especially important during times of uncertainty where we have world leaders creating headlines on a daily basis to threaten global business. The Trade: Sell the NKE Jan 2019 $50 put and collect $1.10 per contract to open. Here I have a 85% theoretical chances that the price will stay above my level. Else, I will accrue losses below $48.90. These are uncertain times, so those who want to mitigate the risk that comes with selling naked puts can sell spreads instead. The Alternate Trade: Sell the NKE Jan 2019 $52.50/$50 bull put spread where I have the same odds of winning. Then the spread would yield 15% on risk. It is important to note that today’s trade doesn’t need a rally to profit. I simply need support for NKE stock to hold for the near term. Time will then do the heavy lifting and premiums will expire in my favor. But just in case, I have to be ready to own the shares at that level. 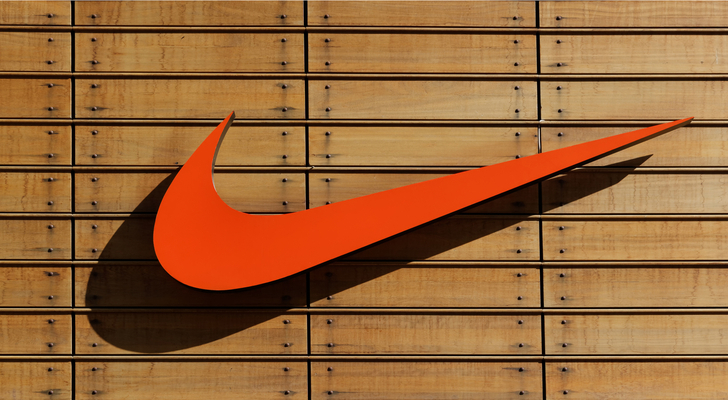 Article printed from InvestorPlace Media, https://investorplace.com/2018/04/nike-inc-nke-stock-is-the-perfect-long-going-into-earnings-season/.